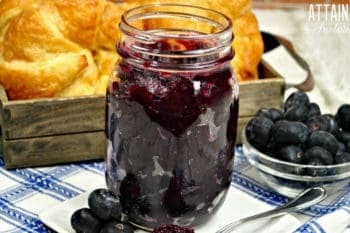 This easy blueberry jam recipe is a flavorful way to use fresh blueberries while they’re in season. This blueberry jam recipe makes a small batch that can be stored right in the refrigerator. Whether you’ve lucked into some fresh blueberries at the market, or you’re harvesting plenty from your own blueberry bushes, this recipe is easy to make and results in a small batch of blueberry jam that doesn’t require you to learn about the canning process. You’ll gobble this up before it has a chance to go south. Spread this blueberry jam on toast, use it to top waffles or pancakes, or use it in a peanut butter and jam sandwich. You can make this easy blueberry jam recipe on the stovetop or in your Instant Pot. There are directions below for both; choose the method that works best in your kitchen! You’ll start with fresh blueberries, of course. You can sweeten the jam with either sugar (I prefer organic) or honey. If your blueberries are really sweet, feel free to reduce the amount of sweetener or skip it entirely for a sugar-free blueberry jam. 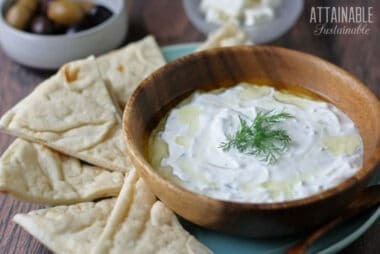 This recipe calls for adding cornstarch as a thickener. If you’d prefer not to use it, you can simply eliminate that step and cook the blueberries over low heat for longer. As the liquid evaporates, the jam will naturally thicken. 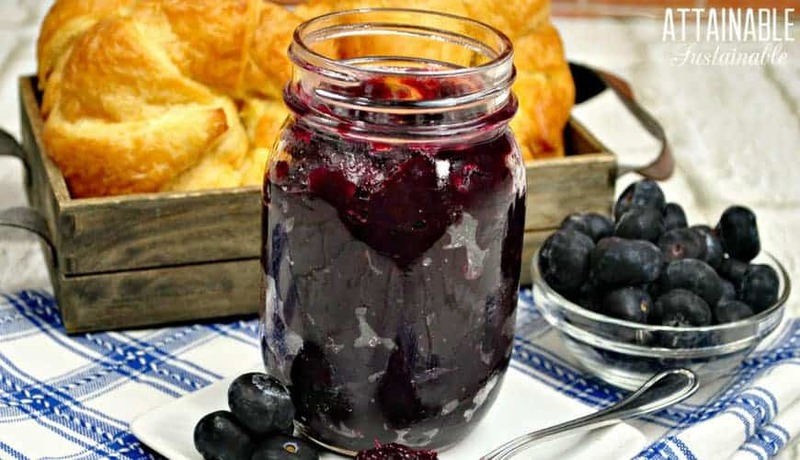 ★ Did you make this easy blueberry jam recipe? Don’t forget to give it a star rating below! This easy two-ingredient blueberry jam recipe is perfect on toast or even ice cream! Combine blueberries, sugar, and lemon juice in a large saucepan. Cook over medium heat, stirring often, for 20-25 minutes or until blueberries are soft. Whisk cornstarch and water together in a small bowl. Add to cooking blueberries, stirring constantly until mixture is thickened (about 5 minutes). 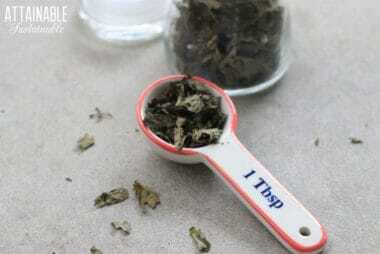 Ladle into a storage container. Refrigerate until ready to serve. Combine blueberries, sugar, and lemon juice in pressure cooking pot. When beep sounds, turn off pressure cooker and allow to sit, sealed, for 10 minutes. Whisk cornstarch and water together in a small bowl. Add to blueberries in pressure cooking pot. Bring to a boil using the sauté function, stirring constantly until mixture is thickened (about 5 minutes). Remove from heat and allow to cool. I have made similar jam with chia seeds as a thickener instead of cornstarch. I’ve seen chia in jams like this, but haven’t tried it. Could this blueberry jam be made with maple syrup rather than honey?